Summary: In many states, employers can consider your credit report in their hiring decision. If you've had credit issues, your best bet is to be prepared to honestly discuss them and have a plan to improve. Unfortunately, while federal laws prevent discrimination in the workplace regarding race and gender, no such laws exist to prevent being denied a job due to poor credit history. 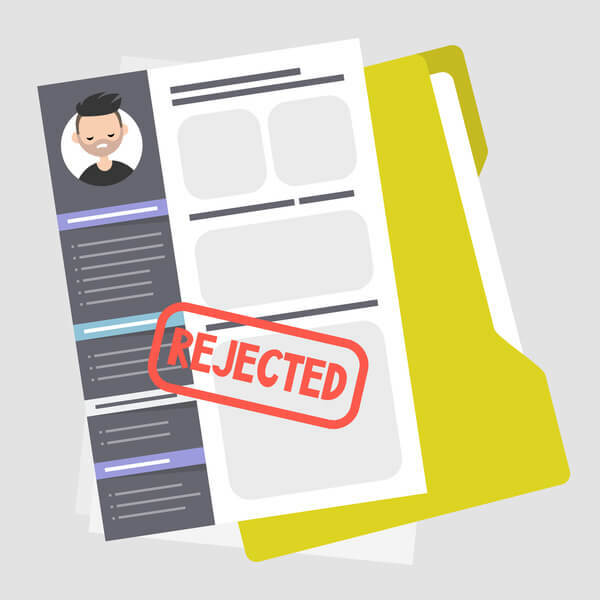 Unless you live in one of the eleven states that limits how a potential employer can use your credit (California, Connecticut, Hawaii, Illinois, Maryland, Oregon, Vermont, Delaware, Nevada, Colorado and Washington), the hiring decision can completely be swayed by your credit report. Your potential employer isn’t even required to cite bad credit as a reason for not hiring you -- they can use any reasoning they choose. While that's the bad news, the good news is that this doesn’t always happen - and there are steps you can take to manage the discussion. Jump to four tips for minimizing the impact of your credit report. It is entirely possible that the hiring company is just doing the credit check as a precautionary measure and has no intention of barring employment. It also largely depends on the position for which you are potentially being, and what exactly your credit history reveals. So while hiring companies may check your credit as part of the hiring process, it seems they still value work history and skillset more than your financial standing. If you are being considered for a role that is financial in nature (i.e. handling cash) or a more high profile role that includes having access to sensitive information, it is likely that a potential company will put more weight in the credit check as a barometer for your trustworthiness. One thing to note is that any potential employer can't pull your credit without your permission. Although credit reports contain a breakdown of all your money owed, the report itself does not include your actual credit score, so the debts are open to interpretation. The good news about that is if you know they pulled your credit report and you have debts you are working on paying down, you can be proactive and explain what the debt is from and how you are working on paying it down. 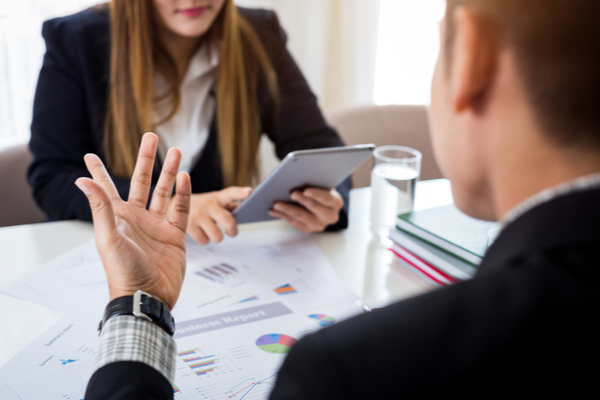 While you can’t control an organization’s hiring decisions, there are some steps you can take to be fully prepared for any credit discussions that may come up during the hiring process. Knowledge is power, so reviewing your credit history and knowing where you stand is always a great start. 1. Get a free credit report and review it. If you are in major job hunting mode, it could be useful to request a free credit report from one of the three credit reporting bureaus (Experian, TransUnion, Equifax). Go through the report and make sure that there are no errors (which occur more than you might think). According to a 2012 study by the FTC, 1 in 5 Americans had an error on their credit reports that negatively affected their credit history. Even if you don’t find any errors, it will likely prove helpful to know where you stand. 2. Make a debt pay-down strategy. If you don’t already have a plan set in place, create one that shows you methodically paying down your debt every month. Don’t lie and say you will pay it off in March when you know it won’t be possible until September, for example. Having a plan in place and being willing to share it with your potential employer could curry favor with them. Being proactive in this way shows you are taking responsibility for past mistakes, which in most cases is seen as a positive attribute. Speaking of being proactive, if you are applying for a high-level position where you know a credit check will be standard protocol, it might be worth broaching the subject of your poor credit history before your potential employer does. If the position entails being responsible for sensitive financial matters, there is a greater likelihood of poor credit history being a greater factor in the hiring decisions. 4. Try a different tactic. If all else fails and your poor credit history is really getting in the way of you finding a job, try searching for a job a different way, or create your own job. With the power of technology and the sharing economy, there are many creative methods of earning money that don’t necessarily require one to work as an employee. See our extensive list of side hustle ideas. Reaching out to contacts that you already know might also help, as you’ve already built up trust within your network. Exploring options that have you working as an independent contract or consultant could not just prove lucrative but also reduce the risk of a credit check, as you technically would be working for yourself. At the end of the day, it is entirely possible for an organization to deny you a position due to poor credit history. But while that can happen, there are some measures you can take to show your preparation and dedication to taking responsibility for your debts. If that doesn’t work out, there are always other options such as self employment. Regardless of the circumstances, becoming more knowledgeable about your credit history and initiating a debt paydown plan can only help your financial future. Tiffany Alexy is the owner of Alexy Realty Group. She occasionally contributes to the Self Lender blog on personal finance topics.